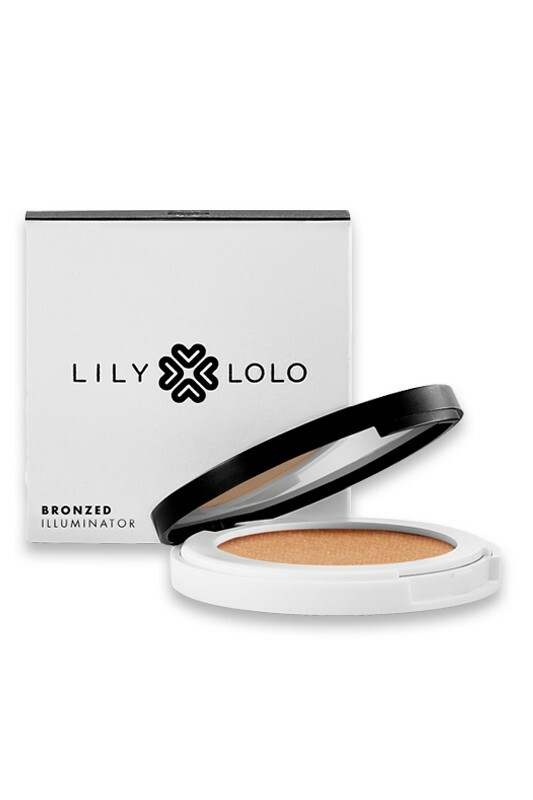 LILY LOLO Highlighter Illuminator is an ultra-soft light reflective powder that can be applied on the top of your cheekbones, shoulders and décolletage. It creates high impact highlights to create the perfect look. 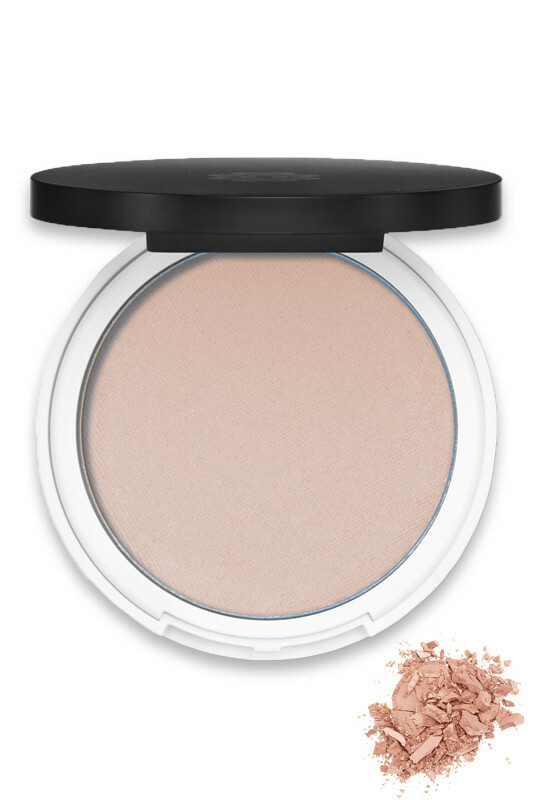 3 shades available : Champagne (light beige), Bronzed (medium) and Rosé (light cool pink). How to highlight your face using Lily Lolo Compact Vegan Highlighter ? Use Vegan Angled Blush Bruch - Lily Lolo on the face to apply Lily Lolo Illuminator onto your cheekbones, center of forehead, shoulders and decolletage. Anywhere you want to add a glow ! For precisely zones : You can also use Vegan Eye Shadow Bruch - Lily Lolo to highlight browbone, bridge of your nose and cupid's bow. Shade CHAMPAGNE : MICA, OCTYLDODECANOL, ARGANIA SPINOSA (ARGAN) KERNEL OIL, PUNICA GRANATUM (POMEGRANATE) SEED OIL, CANDELILLA CERA, TOCOPHEROL, RICINUS COMMUNIS (CASTOR) SEED OIL, POLYGLYCERYL-2 ISOSTEARATE/DIMER DILINOLEATE COPOLYMER, GLYCERYL CAPRYLATE, HELIANTHUS ANNUUS (SUNFLOWER) SEED OIL, LEPTOSPERMUM SCOPARIUM (MANUKA) OIL, SODIUM HYALURONATE, ERYNGIUM MARITIMUM CALLUS CULTURE FILTRATE, [+/- CI 77891 (TITANIUM DIOXIDE), CI 77491 (IRON OXIDE), CI 77492 (IRON OXIDE), CI 77499 (IRON OXIDE)]. Shade BRONZE : MICA, OCTYLDODECANOL, ARGANIA SPINOSA (ARGAN) KERNEL OIL, PUNICA GRANATUM (POMEGRANATE) SEED OIL, CANDELILLA CERA, TOCOPHEROL, RICINUS COMMUNIS (CASTOR) SEED OIL, POLYGLYCERYL-2 ISOSTEARATE/DIMER DILINOLEATE COPOLYMER, GLYCERYL CAPRYLATE, HELIANTHUS ANNUUS (SUNFLOWER) SEED OIL, SODIUM HYALURONATE, ERYNGIUM MARITIMUM CALLUS CULTURE FILTRATE, [+/-CI 77891 (TITANIUM DIOXIDE), CI 77491 (IRON OXIDE), CI 77492 (IRON OXIDE)]. Shade ROSE : MICA, OCTYLDODECANOL, ARGANIA SPINOSA (ARGAN) KERNEL OIL, PUNICA GRANATUM (POMEGRANATE) SEED OIL, CANDELILLA CERA, TOCOPHEROL, RICINUS COMMUNIS (CASTOR) SEED OIL, POLYGLYCERYL-2 ISOSTEARATE/DIMER DILINOLEATE COPOLYMER, GLYCERYL CAPRYLATE, HELIANTHUS ANNUUS (SUNFLOWER) SEED OIL, SODIUM HYALURONATE, SODIUM HYALURONATE, ERYNGIUM MARITIMUM CALLUS CULTURE FILTRATE, [+/-CI 77891 (TITANIUM DIOXIDE), CI 77491 (IRON OXIDE), CI 77007 (ULTRAMARINES), CI 77742 (MANGANESE VIOLET)].